In Islam, Muslims typically greet each other with the phrase “assalamu alaikum” or “salaam” for short, meaning peace be upon you. Civility and kindness are deeply rooted in the religion: “And the servants of the Most Merciful are those who walk upon the earth easily, and when the ignorant address them [harshly], they say [words of] peace,” reads a famous verse in the Holy Qur’an. Andalucia embodied all the qualities of “Assalamu Alaikum.” The small region of Spain, predominantly led by Muslims, was a Mecca for interfaith and technological prosperity. 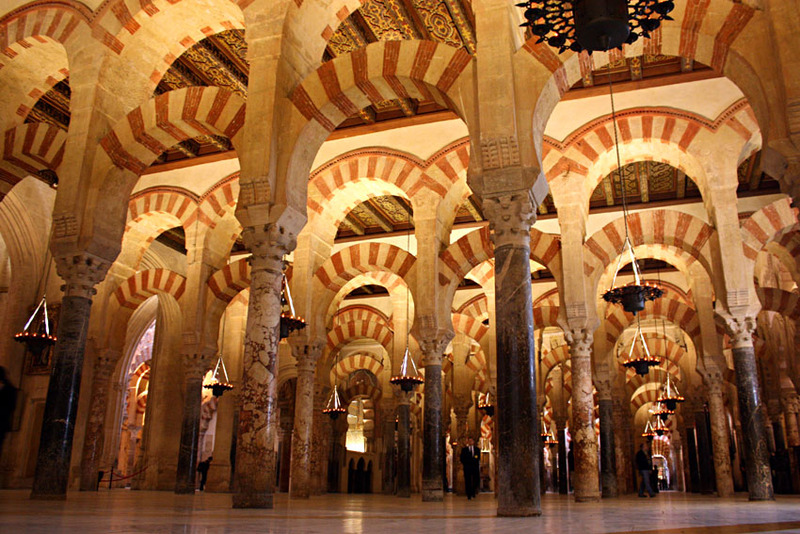 Scholars characterize the era as the one spark of European Islamic light during the Dark Ages. Today that landscape for Muslims has been tarnished by terrorist organizations such as the Islamic State (ISIS) and Al-Qaeda. But even in the face of ISIS and other fundamentalist groups, Andalusian Islam, a form that celebrated inter-religious collaboration and flourished, can be reinstituted considering that an interfaith approach is already ingrained in today’s society. Andalucia was a utopia for secular and nonsecular divisions of life. Leaders galvanized the people into following the footsteps of Prophet Muhammad and living in accordance with the Qur’an and Sharia. However, Andalusians sought intellectual reforms outside of their spiritual lives. The period paralleled a small Renaissance within Spain: high culture blossomed with new music, poetry, modern libraries and the first ever written Constitution. As the majority of Muslims pioneered advances in technology, their work was met with innovations from both Jews and Christians alike. The three groups, though different, found a common spiritual and academic safe haven within the borders of Andalucia. We know that restoring this coexistence is possible because it is already starting to happen. In 2014, a group of Jewish and Muslim women banded together to jumpstart Sisterhood of Salaam Shalom. The group seeks to share traditions of each religion while also fighting prejudice and pre-disposed conceptions with open dialogues. After the 2016 Presidential Election, a surge of new chapters across the country emerged. These strong, independent women are already working to bend the moral arc back towards justice, to slam preconceived notions and biases with truths. Speaking candidly about traditions like Yom Kippur and Ramadan have enabled Americans to find common threads in different religious lifestyles, they see that at the core of both major faiths are the same values– honesty, generosity, persistence and growth. The group also allows women to make professional connections and support each other in the workplace as well. Perhaps unknowingly, they are already striving towards an Andalusia model of cohabitation. Other interfaith groups of the like have also started. Heartbeat seeks to find a common ground for Israelis and Palestinians through music. Capital Area Interfaith Friends was spearheaded by middle schoolers back in 2011. These groups demonstrate that the mindset of an inter-connected society among religions is already there. The next step is to spearhead more grassroots efforts like Heartbeat and the Sisterhood. Organizing more groups like these isn’t as much an administrative or civil liberties task as it is an actual rebirth of ideas and morals that will propel us all forward. The one major obstacle preventing us from achieving an Andalusian way of life is the pushback from Islamic terrorist group that seeks to divide religions and forces believers of the Islamic faith into strict submission. The opposition believes that under today’s political climate and with the rise of ISIS, only the fundamentalist aspects of Islam can be sustained in communities. According to The Atlantic’s “What ISIS Really Wants,” a controversial yet interesting piece, there are a few reasons why ISIS is not as dangerous as we think it to be. First off, they publicize almost all of their induction and execution events on social media, making it easy to track their whereabouts. They even have a magazine that has open access for all entitled Dabiq to update subscribers to the state. Their clear base is in Syria since they recently overthrew the government, as opposed to Al-Qaeda, a group that frequents different regions in the Middle East and South Asia while remaining under the radar. Another major point of contention is whether or not ISIS actually has anything to do with Islam. Whether Muslims like it or not, some of ISIS’s practices are extrapolated from the Qur’an, like deeming apostasy a sin. But that still does not mean that its practices should be deemed Islamic. Taking literal verses out of context to corroborate your agenda does not make you a model Muslim or human. For example, ISIS is staunchly against Shia Muslims, when there is no consensus in the Muslim community at large as to which group, Sunni or Shia, is the “more correct” version of Islam. While ISIS has no exceptional credentials to declare Shias as wrongful Muslims, they take a hard stance to appear powerful and all-knowing; believing they are the chosen ones, ISIS relies more on ego and superiority complexes rather than morality and religion. Within any religion, there are standards outlined in the form of a holy book or scripture. But there are also a set of morals, implicitly stated, one must adhere to: looking out for one another, encouraging others to be their best selves, keeping your conviction in times of good and bad. Lines of the Qur’an corroborate these morals: “So compete with each other in doing good” and “God does not love corruption.” That is where ISIS fails to be Islamically intact. They have no philanthropic desires or just basic human compassion, but rather they just firmly grasp and manipulate obscure parts of the religion that are widely contested. Even though ISIS has become a threat to true Islam, we still have the power to replicate the values of Spanish Muslims from centuries ago. At our core, we all want to come together as a community full of diverse faiths and intellectual skills. We can choose to isolate and fend for ourselves when it comes to generating new culture and reforms, or we can band together and exchange traditions and values and be better from the gaining of knowledge. That is the choice. If at any point we doubt whether we can really restore Andalusian Islam, remember: “salaam” means peace.